Balance moisture levels and achieve visible shine with the Caviar Anti-Aging Replenishing Moisture Shampoo from Alterna. The rich, sulfate-free cleanser hydrates dry hair and utilizes Age Control and Photozyme Complexes to minimize the visible signs of aging and lock in color. 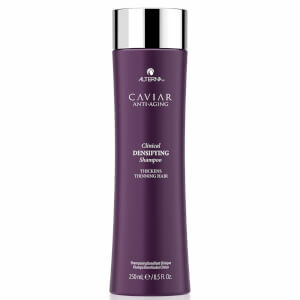 A combination of gentle ingredients such as Shea Butter and Caviar Extract give hair a thorough cleanse while restoring hydration in order to help reverse the damage caused by environmental stressors and heat styling. The nourishing shampoo goes beyond simple moisturizing by helping hair attract, retain, and rebalance the hydration it needs. 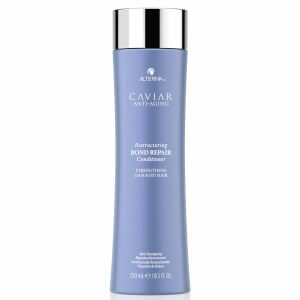 Hair is revitalized and left silky-soft and radiant. Massage throughout wet hair and rinse thoroughly. 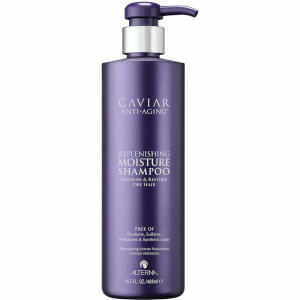 For best results follow with Caviar Moisture Conditioner. It's not inexpensive, but it effectively smooth hair. If you get hair colored or curved, you need to try this.